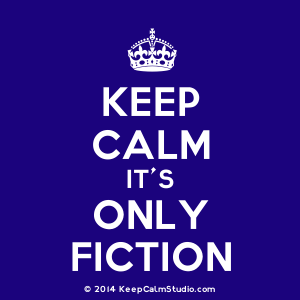 the crime segments: does anyone in the US want a free copy of Jussi Adler-Olson's new book? does anyone in the US want a free copy of Jussi Adler-Olson's new book? Never buy books at 4:30 in the morning. 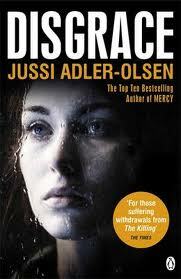 I guess I was still asleep because this morning I bought a copy of Jussi Adler-Olsen's novel The Absent One and forgot that I already had the same book under the title of Disgrace. Uh-oh. How did I miss reading this one in the series? He's got a third book out and I've only read one. How is that even possible? Oh crap. Wait a minute. What if this book is the UK title and I just bought the same book with a different title? I'd better go check. [gets online, realizes yes indeedy that's exactly what I did]. Sh*t. It's too late to cancel the order. Once again, my idiocy is someone's gain...just be the first to make a comment saying you want it. It should be here in 2 days & I'll mail it next week. Nancy - You're not the first one to get distracted by a different title. I'd love The Absent One if it hasn't already been claimed. It's definitely yours, Margot! I think it was the whole 4:30 am, half a cup of coffee type thing going on. I should have known better. I already have your address, so when I comes, I'll send it on. Thanks, as usual, for giving it a home! Great you're getting the book, Margot! That means we'll see a post up at COAMN. Oh, Nancy, the things I write in the middle of the night! Typos, wrong words, run-on sentences, copyeditors' nightmares. I hope I've never divulged anything scandalous! Sometimes I put a lot of books into the "basket" or "checkout" section of an online bookseller. Luckily I stop myself from continuing on. Then the next day when rationality sets in, I say "What have I done"? "I put that on reserve at the library" or "I haven't even read the first book in the series, so why am I ordering later books?" Or "A friend has this one, so I don't need to buy it." By the time I'm finished, I've talked myself out of these huge orders and am down to one or two books. But I always have to double-check the next day. I did find some good guys though at Amazon.com. Got what I guess are remaindered NEW books there and spent $18 on three, including shipping. That includes the excellent "Crooked Letter, Crooked Letter," "The Invisible Ones," by Stef Penney and the second book (for a friend) of Imogen Robertson's new historical series. So in that case, the middle-of-the-night shopping paid off. These books I bought specifically to loan to friends -- and then keep later on, such a boon for paper books.